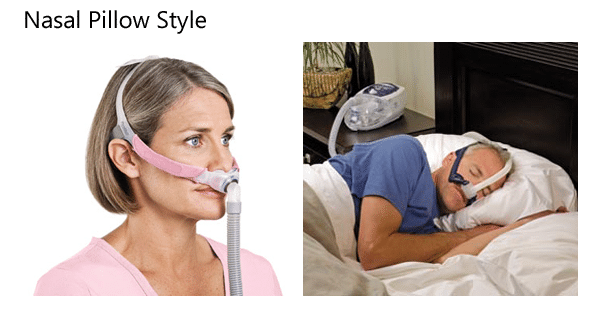 The Nasal Pillow style CPAP interface inserts comfortably into the nostrils for patients who breath through their nose. 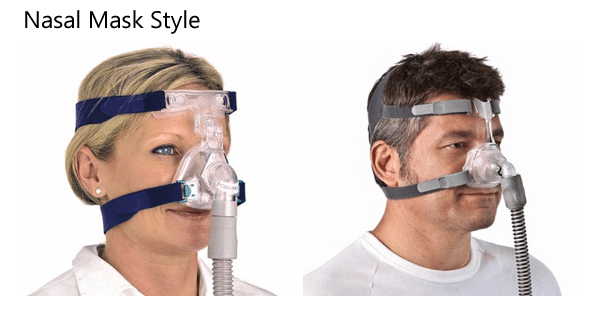 The Nasal Mask style CPAP interfaces cover the nose for patients who breath through their nose. 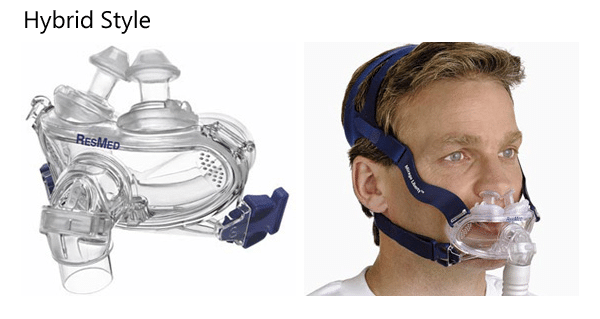 The Full Face Mask style CPAP interface covers both the mouth and the nose and allows breathing through either the mouth or the nose. 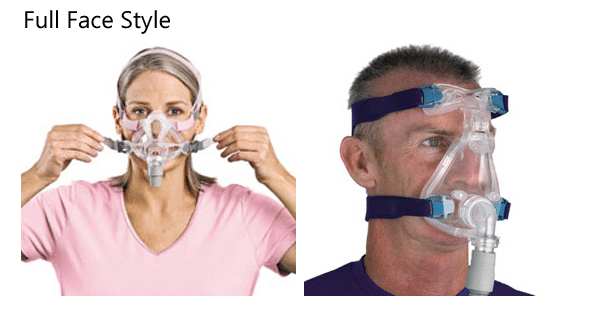 The Hybrid Style Mask covers the mouth and inserts into the nose, combining features of a Nasal Pillow and a Full Face Mask. It allows breathing through either the mouth or the nose. 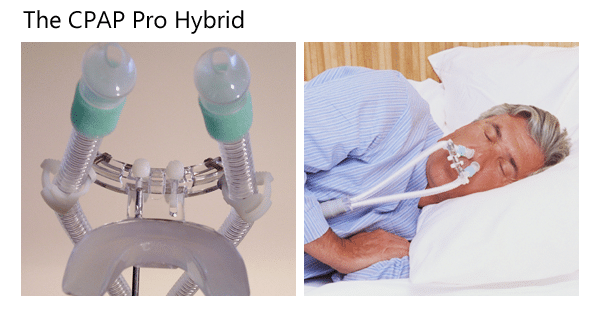 The CPAP Pro Hybrid Style Mask has a mold of the teeth that inserts into mouth, anchoring the device, and soft nasal pillows that insert into the nose. It allows breathing through the nose without the need for straps or headgear.